Although Seborrheic Keratoses are often confused with warts, they are quite different. Seborrheic keratoses are non-cancerous growths of the outer layer of skin. There may be just one growth, or many which occur in clusters. They are usually brown, but can vary in color from light tan to black. They vary in size from a fraction of an inch in diameter to larger than a half-dollar. A main feature of seborrheic keratoses is their waxy, “pasted-on” or “stuck-on” look. They sometimes look like a dab of warm brown candle wax that has dropped onto the skin. 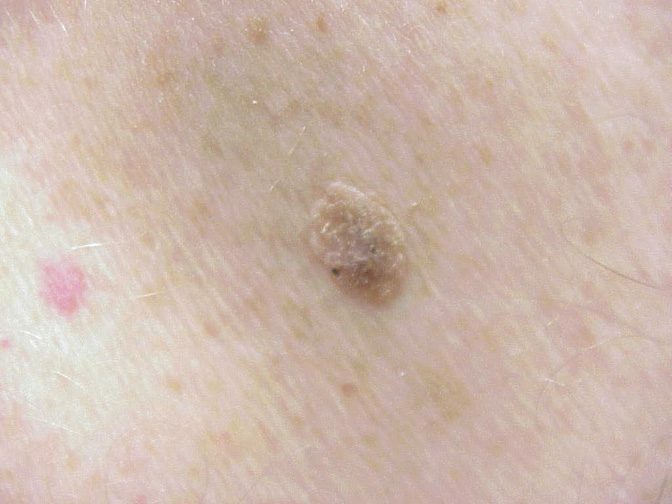 Seborrheic keratoses are the most common benign tumor in older individuals. 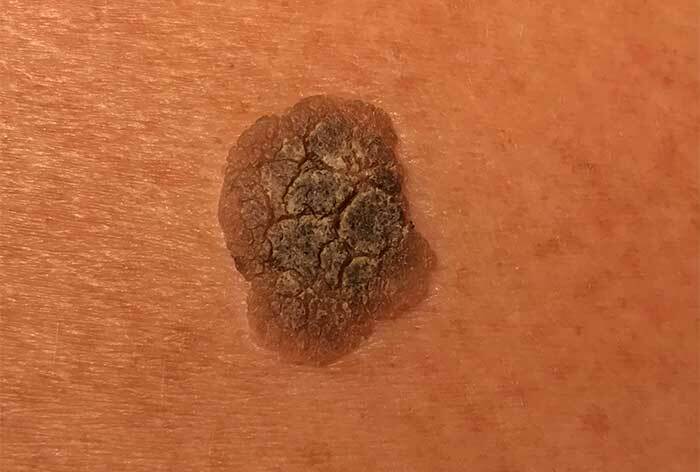 Seborrheic keratoses have a variety of clinical appearances, as seen in the images below, and they develop from the proliferation of epidermal cells. No specific etiologic factors have been identified. Ammonium lactate and alpha hydroxy acids have been reported to reduce the height of seborrheic keratoses. Superficial lesions can be treated by carefully applying pure trichloroacetic acid and repeating if the full thickness is not removed on the first treatment.